The Gregg Hurwitz books in order focus on three main series by the New York Times bestselling author, including the Tim Rackley series (crime mystery), his newer Orphan X series (thriller), and Rains series young adult. In addition, he wrote several standalone novels that will be listed below as well. Here are the Gregg Hurwitz books in order for his popular series and standalone novels. The list will be updated with new books as they are published. Gregg Hurwitz (and not Greg Hurwitz) was born in 1973 in San Francisco Bay Area where he also grew up among a family of physicians. So he got used early on to talk about severed fingers, blood all over the place and mutilations (aka surgery), which is something many of his books reflect as well. He attended the Bellarmine College Preparatory in San Jose, following which, he enrolled at the Harvard University from where he received his Bachelor of arts degree in 1995. During this time he worked on the first draft of his first novel, The Tower, a psychological thriller novel set in San Francisco. Next, he attended the Trinity College in Oxford, from where he received his Master’s Degree in 1996 in Shakespearean tragedy. During that year, he became undergraduate scholar-athlete of the year at Harvard for pole vaulting. While in England on the Frank Knox Fellowship, he also played college football (soccer). 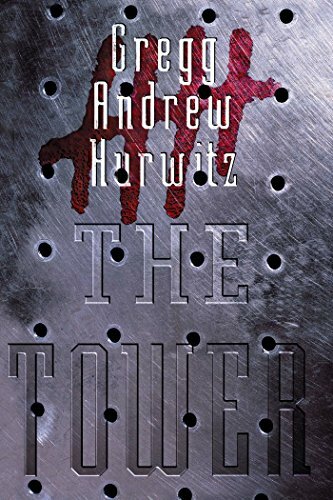 His first standalone novel, The Tower, was published in 1999. Two years later, he followed it with Minutes to Burn, another standalone book, and Do No Harm, which was released in 2002. In an interview, he mentioned that he always wanted to write, it was his life passion. He started reading books at a very young age, reading Stephen King and Peter Benchley and feeling all the emotions those authors evoked in him. He then wanted to, one day, also evoke the same strong emotions in his own readers by writing captivating books. 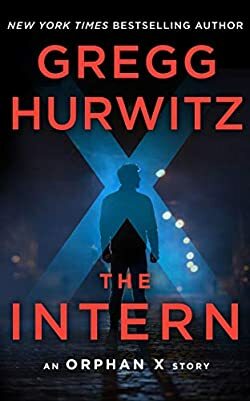 Many of the Gregg Hurwitz books have been shortlisted for best novel of the year by ITW (International Thriller Writer), and were nominated for the CWA Ian Fleming Steel Dagger. In addition, books by Gregg Hurwitz were picks for Book Sense (which later became IndieBound), and were selected as feature books by many literary book clubs. His books have so far been published in 30 languages. 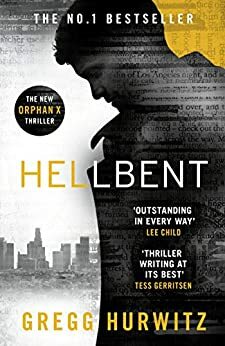 Currently, there are 19 Gregg Hurwitz novels with the latest one published in 2018 titled Hellbent. It is the third and latest Nowhere Man book in the Orphan X series. When he is doing research for his books, Gregg is very thorough and he picks up interesting ideas that he can incorporate into his novels. For example, for Orphan X, he read an article about a medical product that doctors use to track insulin levels in diabetes patients, and through this article, the author got the idea of using something similar as a GPS tracker. Lots of research is also done directly in the field by him going to locations and talking to people who walk the talk (snipers, operatives, etc), or even shadowing key people on stunt planets, or in deep water surrounded by sharks, or sneaking onto demolition ranges. This way, Evan Smoak, his Orphan X main character, feels genuine to the core. 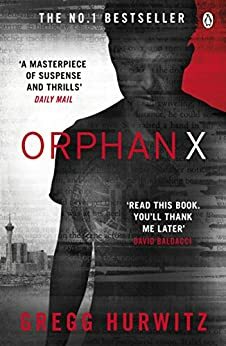 The Orphan X series’s main character is Evan Smoak, a deadly operative who got out from the undercover organization and now lives in the shadows doing good, helping all those who can’t help themselves. Maybe even trying to atone for some of his past sins. Evan was taken from the orphanage and was raised and trained to become one of the most deadly assassins alive today. For the longest time, he was part of the Orphan Program, which trained him to become what he is today. But when he wanted something else from life, he used everything he was taught to disappear and become The Nowhere Man. Because one does not simply leave the Orphan Program unless in a body bag. But Evan did it, knowing that he will never be safe from those who want to find him and take him down for good. The Orphan X series about Evan Smoak currently includes four books, three full-length novels, and a short novella. The latest book is published in 2018 with the title Hellbent. This time, his mentor and trainer, Jack Johns, calls him giving him a final assignment just before he is killed: find and save the last Orphan protege because someone wants to kill everyone involved in the Orphan Program and remove any trace of that clandestine group having ever existed. And that means Evan and the last protege as well. In addition to novels, he also wrote the screenplay for movies and TV series (such as V and Black Flags), including the film The Book of Henry, a movie drama released in 2017 featuring Naomi Watts. In 2012, the author became the comic book writer of Batman: The Dark Knight for DC Comics. He is also writing comic books for Marvel, including Wolverine and Punisher. The way he got involved with Marvel was when the editor-in-chief of Marvel read some of his books and, as many dealt with violent vigilante topics, which were quite in line with many Marvel stories, proposed him the offer to work on a Marvel character. He is an author who can safely say he wrote in every medium he could: books of his own, comic books, and scripts for TV series and movies. The Orphan X book will be soon turned into a movie, as the film rights have been bought by Warner Bros. The film will be adapted by Bradley Cooper’s production company, 22nd & Green. 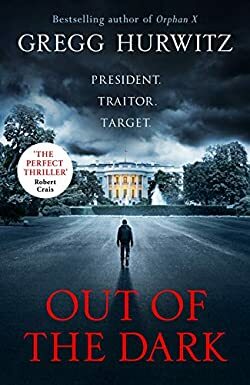 The author Gregg Hurwitz currently lives with his wife and two daughters in Los Angeles, where he is working on his next book and plays soccer in his spare time. Just loved Orphan X – the nowhere Man. Also Hellbent. Couldn’t put them down. Read them in two days. Looking forward to reading all the others. Thank you Gregg Hurwitz.